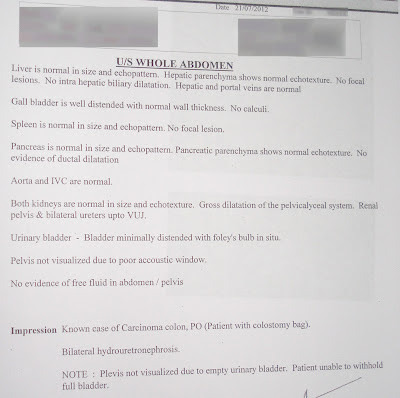 The patient was given Laparoscopic APR with permanent colostomy in 2008 by his allopathic doctor of some fancy Cancer Institute. 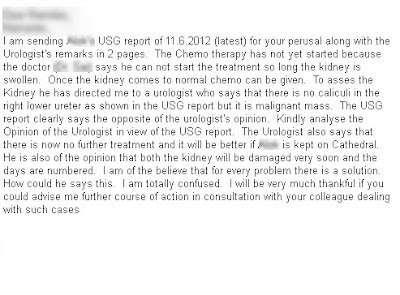 He was undergoing radiotherapy and his skin has pilled off from the pelvic region and was unable to come to my clinic. 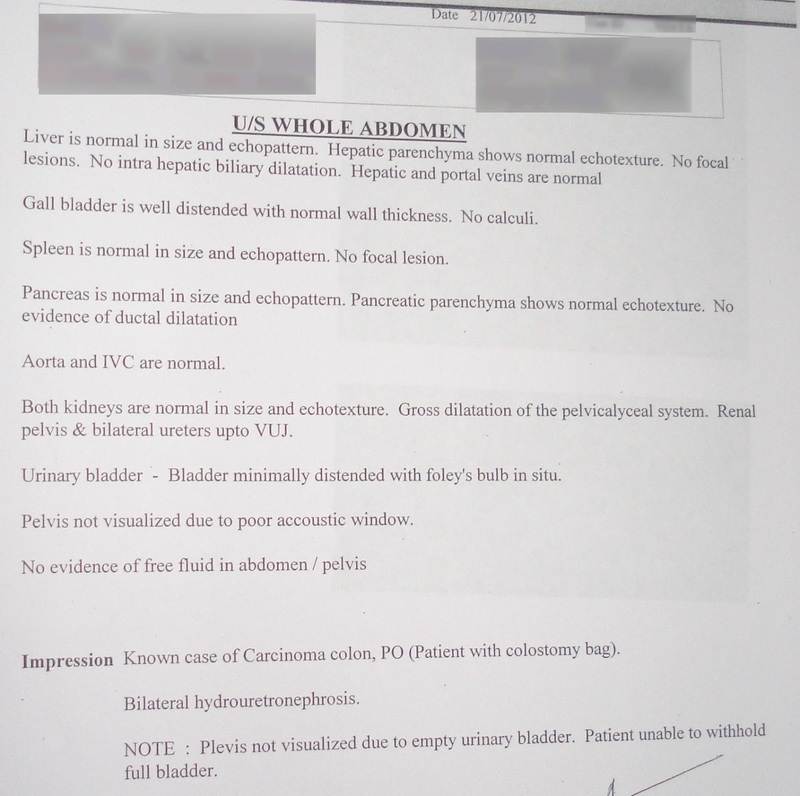 See the portions of the discharge report. His kidney was swollen and his serum creatinine level was showing a reading of 3.6. along with Grade 4 BPH with bilateral hydronephrosis. At this point i started his treatment along with the allopathic treatment he was already taking. In our system of medicine, surgery is strictly prohibited in this type of cases and the excellent results were demonstrated long back in 1890 itself. Those who are interested in further reading can always refer to the National Review May 1890, July 1890, sept 1890, etc. It was also discussed at length at the assembly of Royal college of surgeons in Edinburgh in July 1891. The efficacy of these pure herbal medicines were well demonstrated there. But still many doctors feel pride in butchering some body parts of their patient.... well leave this topic here and lets focus on the case. After giving him the medicines, i was waiting impatiently, how his body was responding to these herbal medicines. We didn't have to wait too long. I got a positive mail just after 1 week of treatment that the creatinine level has come down from 3.6 to 2.1 and the hemoglobin has also improved from 10.1 to 11.5. 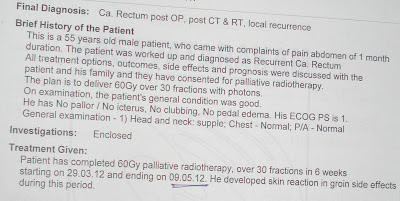 In 15 days time his condition improved a lot and the side effects of radiation had almost gone, and the patient who was unable to come to my clinic some 15 days before was now able to go for a vacation. 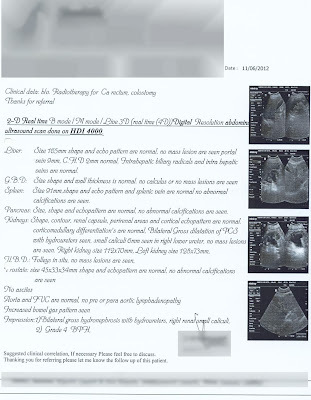 In 1 month time his creatinine level came down to 1.7 very near to the normal range. 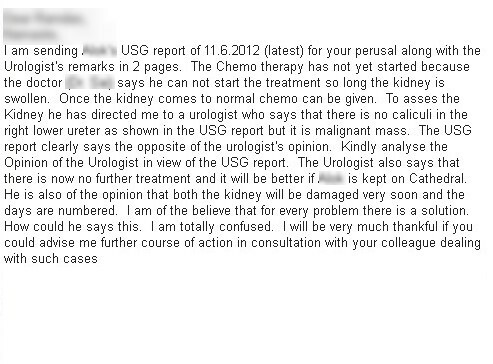 The 11th June 2012 report which said that there was a calculi of 6 mm in the uretor. The allopathic doctor were of the view that its the cancerous mass and the days are numbered. But those doctors had underestimated the power of the herbal medicines. 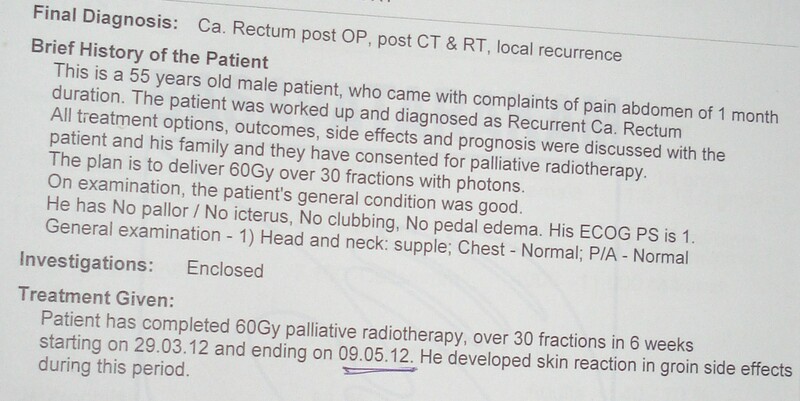 Another scan after 1.5 months didn't find any signs of the calculi/cancerous mass. 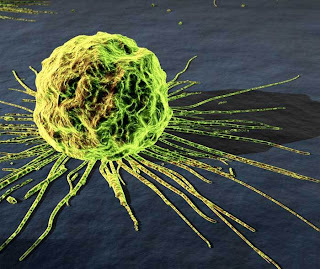 The patient has been advised to continue the treatment till his whole body is cleaned up so that the cancer doesn't reoccurs and his whole body gets repaired.